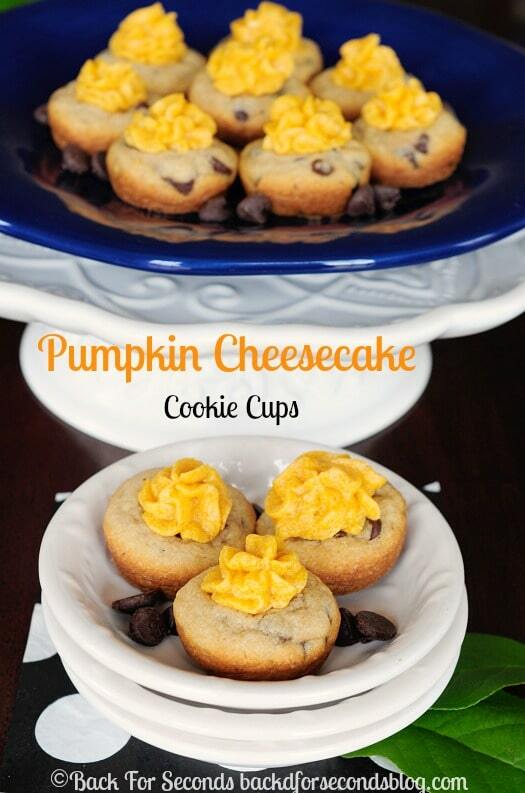 Pumpkin Pie Cheesecake Cookie Cups are an easy, delicious, and festive fall treat! Perfect dessert for Thanksgiving, Halloween, Christmas or just because! Never miss a recipe! Sign up to receive my recipes via email and follow me on Bloglovin! I am a reformed non pumpkin lover. I used to avoid all things pumpkin, but I am starting to come around. I can honestly say I didn’t want to stop eating these Pumpkin Pie Cheesecake Cookie Cups! But I had to because my kids fought me for them. 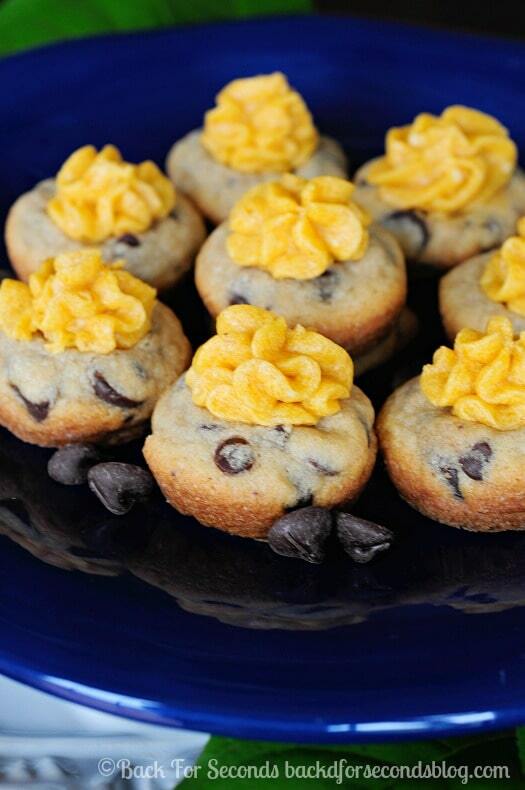 They freaked over these cute pumpkin cookies and you will too! 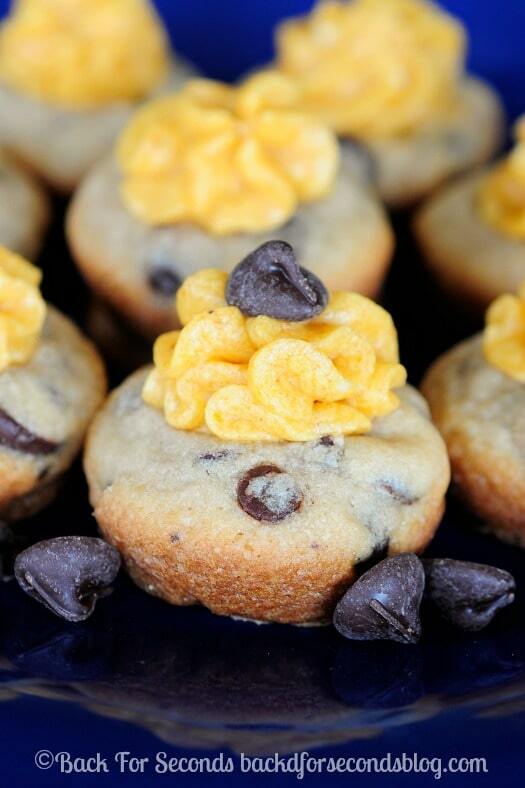 I used my perfect chocolate chip cookie recipe for the cookie cups, but you can use your favorite recipe or even use store bought dough if you’re in a pinch. 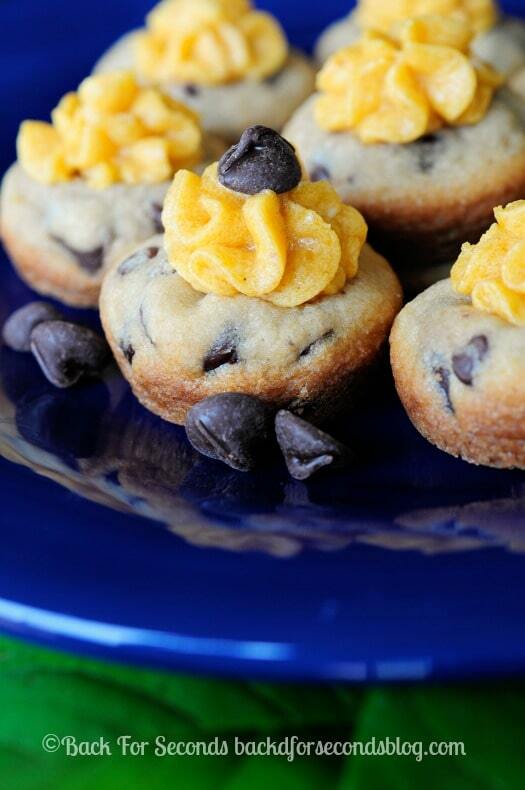 Roll the dough into balls and bake in mini muffin tins. As soon as they come out of the oven make a well in the center of each cookie. I used the end of a wooden spoon to do this part. Once they’re cool you fill them with the glorious pumpkin pie cheesecake filling. I think these pretty little cups would be addition to your thanksgiving dessert table. They also taste really good at 10am next to a cup of coffee…just sayin’. These are just the cutest lil’ things! I love the pumpkin frosting! I would LOVE to try one of these! So cute! I seriously cannot love these enough! The pumpkin pie cheesecake is to-die for! Pinned!